The winner of the 2019 German Africa Prize is Juliana Rotich, founder of software project Ushahidi, which was introduced to monitor violence in Kenya following the 2007 general elections. Juliana Rotich became known in professional circles in 2007 as the co-founder of the open source platform Ushahidi (a Swahili word meaning ‘testimony’), which began in Kenya as an internet platform developed to map reports of post-election violence and which went on to revolutionize the international flow of data and information. 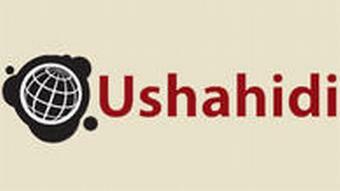 Today Ushahidi is used in over 160 countries as a tool for crisis response and for independent election monitoring, for example in Nigeria and Afghanistan. It has also been used following natural disasters in Chile, Haiti and New Zealand. 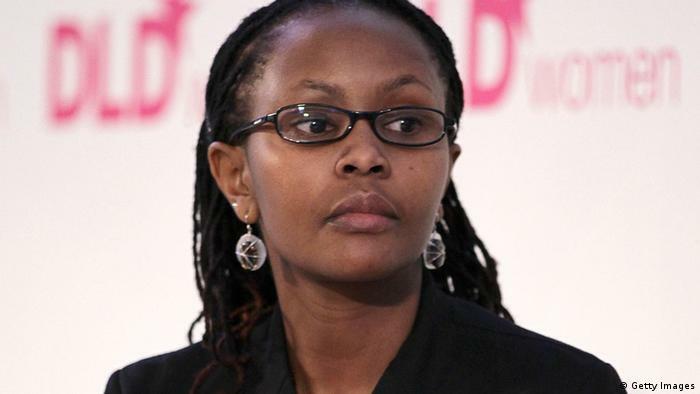 Juliana Rotich is regarded as one of the leading figures of the digital revolution in Africa and beyond. From Ushahidi she went on to found BRCK, an innovative technology company which is now the biggest Wi-Fi provider in sub-Saharan Africa. The central product is a battery-operated modem which can function for up to eight hours without electrical power. It is used in 150 countries. The Pan-African Human Rights Defenders Network has re-opened nominations for the 3rd edition of the African Human Rights Defenders Shield Awards. The award will honor exceptional individuals who have contributed to changes in their community by peacefully promoting and protecting human rights. See: http://www.trueheroesfilms.org/thedigest/awards/african-human-rights-defenders-shield-awards. – Northern Africa Shield Award. To make a nomination please fill out one of the online forms below. Nominations will be open until 15 March 2019. Both individuals and organizations are eligible for the award. Nominations made during the previous nomination period (June to September 2018) are still valid and will be automatically taken into consideration for the 3rd edition of the Awards without need to re-apply. The awards will be presented to the winners at the margins of the African Commission on Human and Peoples’ Rights 64th Ordinary Session 2019. (1) Bikes for human rights defenders: Girls Empowerment Network (GENET) in Malawi has donated 30 bicycles to child protection groups in Dowa district to assist in its ongoing girl child protection programs. Speaking in an interview with the Malawi News Agency Mana after giving out the support at Kayembe Primary school, GENET Programs Officer, Twambilile Kayuni said their organization thought of providing the support as one way of easing transportation challenges among girl child protection groups in the area. “As GENET, we thought it critical to ease the challenge of transport among our village child protection groups so that when any violence has happened to a child they should be able to rush to the scene and take action“. She added that the bicycles have been given to all schools in the area, human rights defenders, mother groups, Area Development Committees (ADCs) and chiefs in order to assist in their child protection duties in a more coordinated manner…Group Village Headwoman Siwinda said:”In my area many girls were being forced to marry but now with the coming of GENET through COMIC relief and OXFAM Malawi things have changed and as of now many girls have gone back to school,” said GVH Siwinda. (2) 6th Internet Freedom Forum in Nigeria from 24 – 26 April 2018: Experts from some thirty countries will deliberate on issues relating to Africa’s digital rights in the city of Abuja for the 2018 Internet Freedom Forum organised by Paradigm Initiative. The forum comes at an important time when many Africans fear for their freedom online. Paradigm Initiative, the Lagos-based organisers of the Forum, in a statement made available to Business Insider Sub Saharan Africa, said: “the Forum helps bring attention to important issues confronting digital rights such as data privacy, internet shutdown, access to the internet, among others.” “..The Forum will also be live-streamed to the whole world to encourage virtual participation.“…The sessions and side-sessions at IFF 2018 cover some of the most pertinent themes relating to digital rights and inclusion in Africa. These include, “How to Ruin Elections in Africa”, “Cybercrime Laws and Freedom of Expression”, “Bridging Gender Knowledge Gap in Wikipedia.” The forum will also discuss the state of internet in various African countries with the report including “Empowering Human Rights Defenders in Digital Era In Africa”. The Forum is supported by organisations including Microsoft, Ford Foundation, Google, Facebook, Premium Times, The Guardian and Civicus. Session organisers at the Forum include Amnesty International, Web Foundation, BudgIT, and Mozilla. recently published its report on ‘Lessons Learnt: Human Rights Defenders Working in States in Transition.’ A State’s transition towards democracy will invariably present particular challenges for human rights and their defenders. But it will also present opportunities. ISHR seeks to ensure that defenders have the tools that will enable the development of national laws and mechanisms that are compatible with, and give effect to, international human rights obligations. ISHR hopes that this report will be used by defenders to reflect on the strategies, successes and shortcomings of other campaigns and programmes in order to appreciate the impact they’ve had in various African States. Clément Voulé and Adelaide Etong (pictured above) introduce the new format of the Kumulika publication. To allow for a better understanding and overview of the developments at the African Commission on Human and Peoples’ Rights (the African Commission) during an entire year, the publication will now be issued once a year. Through this yearly publication, ISHR will take a new approach to providing analysis and up to date news on what is happening, the developments and the outcomes of the sessions and the NGO Forum. Last year the African Commission celebrated its thirty years of existence. The last session of the year was an opportunity to think back and reflect on how its work grew over the years and the challenges it faced while implementing its mandate to promote and protect human rights in Africa. It also allowed the Commission to acknowledge the importance of the work done by civil society organisations in support to the implementation of its mandate. These past thirty years NGOs have provided invaluable information on country situations and advocated tirelessly for the establishment of several special procedures of the Commission. On 1 December 2017 Corinne Dufka of Human Rights Watch wrote a column about Peter Takirambudde who passed away on 16 November in his native Uganda. He was head of HRW’s Africa division from 1996 to 2008 during multiple crises, including in Sudan, Sierra Leone, Nigeria, Rwanda, and the Democratic Republic of Congo. After leaving Human Rights Watch, Peter founded and directed the Botswana-based African Human Rights Consortium, which helped train members of civil society from across the continent in human rights investigation and advocacy. Peter was also a lawyer and a well-respected law professor, including at the University of Botswana-Gaborone, where he served as head of social sciences, and at the University of Lund in Sweden. He received a bachelor’s degree from Makerere University in Uganda and a doctoral degree from Yale University. 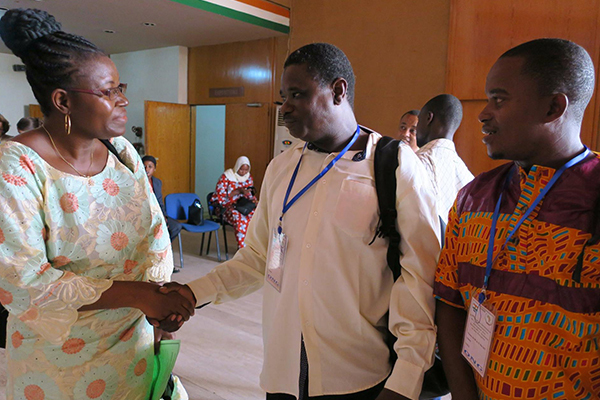 Human rights defenders from across Africa were in The Gambia undergoing a three-day training to consolidate their knowledge and skills on relevant human rights instruments for effective monitoring at the continental and international levels. The training on international and regional human rights mechanisms, was held from 25 – 29 October 2017, was organised by the African Commission on Human and People’s Rights, CIVICUS, ISHR, ACHPR and the United Nations Human Rights Council. The training was held on the margins of the Forum on the Participation of NGOs in the 61st Ordinary Session of the African Commission on Human and Peoples’ Rights and 36th African Human Rights Book Fair. The training was designed to sharpen the knowledge and skills on the procedures for the promotion and protection of human rights in Africa. It was divided into three main parts: the international and the regional systems and mechanisms for the two days, and freedom of association and assembly, the SDGs, and human rights monitoring. Hannah Forster of the African Centre for Democracy and Human Rights Studies (ACDHRS – http://www.acdhrs.org) said: “This, we believe, will enable us to better understand opportunities available as we engage governments in the fulfillment of their mandates to promote and protect human rights and it will equip us with the knowledge and skills to lobby our governments to domesticate and implement their commitments while assisting participants to frame a strategy as they seek redress for violations of human rights”. In a new report launched at the 61st session of the African Commission on Human and Peoples’ Rights, DefendDefenders (the East and Horn of Africa Human Rights Defenders Project) finds that amid growing restrictions on civic space in the sub-region, journalists play a critical role in exposing human rights violations and providing vital information and analysis of current events. Simply documenting and sharing information can simultaneously place them at risk and at the forefront of human rights defence. In “Don’t Shoot the Messenger! Journalists as Human Rights Defenders in the East and Horn of Africa”, DefendDefenders examines the challenges journalists face, and provides an overview of the various strategies they have used to circumvent and continue their work amid these restrictions. Overall trends, legal frameworks, and case studies from 11 countries in the East and Horn of Africa provide an understanding of the capacity, risks, and needs of journalists reporting on human rights issues. Over 60 journalists, bloggers, and media professionals from the sub-region were interviewed, in addition to significant input from civil society organisations dedicated to free expression and the protection of journalists. Central to the report is the question of whether journalists, by nature of their work, should be considered HRDs. Nearly all journalists interviewed for this report considered themselves to be HRDs, but many had doubts over whether this also applied to all their colleagues. Some interviewees claimed to actively seek out human rights stories, especially in conflict situations, while others also advocated for freedom of expression, often from exile. Journalists are increasingly faced with new threats to their work and security, including harassment, arbitrary detentions, and imprisonments and prosecutions under spurious laws, both online and offline. These threats intensify amid violent conflicts and political crises, and often force journalists into exile, where they face new challenges. The report offers concrete solutions to online and offline challenges and makes key recommendations to governments and civil society to ensure that a free media environment in the region is protected and promoted. Download “Don’t Shoot the Messenger!” here. 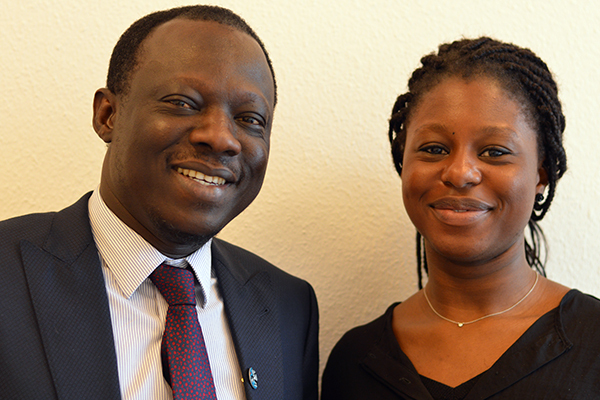 In 2015, the East and Horn of Africa Human Rights Defenders Project (then still abbreviated EHAHRDP) celebrated its ten-year anniversary and decided it was time to give the organisation a new, fresh face under its new name: DefendDefenders. In February, after a year of consultations, it presented its new logo and rebranded image during the third general assembly of the East and Horn of Africa Human Rights Defenders Network. Today, it launched its new website at https://www.defenddefenders.org as the final step. On DefendDefenders’ new website, it is easier to find information and stay up to date on its work. HRDs will be able to contact them more quickly in case of emergencies and to access essential resources they can use to improve their safety. The website itself was developed with the specific requirements of the East and Horn of Africa in mind, and is designed to work with low bandwidth Internet or on mobile devices. 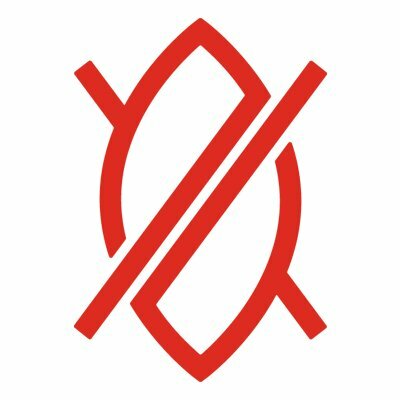 Every element of DefendDefenders’ new brand represents the changes over the years, without losing sight where it came from: from prominent features in the logo, such as the shield which remains the core of its identity, to a font inspired by anti-apartheid activist Stephen Biko. DefendDefenders (the East and Horn of Africa Human Rights Defenders Project) is the secretariat to a network of more than 75 member organisations drawn from eleven countries in the sub-region. Additionally, DefendDefenders acts as the secretariat for the Pan-African Human Rights Defenders Network, which brings together five sub-regional networks from North, Central, West, Southern and the East and Horn of Africa. Further information can be found on the website. DefendDefenders is in the process of recruiting a Project Coordinator for its work in supporting human rights defenders in the Great Lakes region. Engage in strategic advocacy activities, including press releases and statements in conjunction with the advocacy team. Ability to establish and maintain effective working relationships in a multi-cultural, multi-ethnic environment with sensitivity and respect for diversity. Ability to follow digital security protocols. Fluency in English and French (both spoken and written) is a must, and fluency in Kirundi and/or Kinyarwanda a strong asset. As part of the recruitment process, short-listed candidates will be tested on their knowledge of both English and French.